The never-ending hunt for comfortable headbands led Elizabeth Powell to take matters into her own hands—and hair. She created hair accessories for herself and her four daughters that wouldn’t hurt, with embellishments to add some pizzazz. 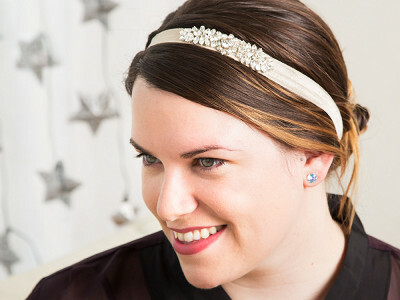 Five years later, her company Jolie is still making headbands and clips that feel good and give your everyday look a dose of sparkle. Their stretchy headbands are made out of soft, flexible hair-tie ribbon. Each can easily be dressed up or down, whether your hair is short or long. Or wear one over a hat, for one of Elizabeth’s favorite looks. Her eye for on-trend accessories extends to Jolie’s hair clips, too. The simple shapes give your ‘do a little bit of shine. Whether you’re at the office or out on the town, these comfy accessories will add a bright spot to your routine. Hello everyone! I'm proud to introduce Jolie to The Grommet. I'd be happy to answer any questions you have! Love Jolie! Just bought the circle hair clip?? @Debbie We are so happy to hear you love the clip! We love it too it goes with everything! Hi Liz! So proud of you! 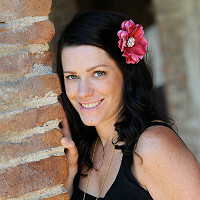 @Katherine Hi Katherine, we are so happy you love your Jolie headbands! These are by far some of the best headbands on the market!! They are comfortable and easy to wear. They are perfect for a gal like me who hates doing her hair. I look cute all the time without the effort of a curling iron on a daily basis! Great Job Elizabeth! @Eleanor Thank you Eleanor we are so glad you love your Jolie headbands! @Nicole Hi Nicole, They do not have a rubber grip. We have found that most customers do not have a problem with them sliding off because they have alot of stretch to them, this helps hold them in place. Another option is to wear the headband across your forehead and this would eliminate that problem completely! I don't see the star and moon style clips shown in the email being offered for sale. Are those also available? Hi Ang, they are indeed. All hair clip designs can be found here. I've never left a comment on here before, but I have to say I adore these. I have the same problem as Nicole--most stretchy headbands I have work their way off my head (especially at night) and I have to put them on several times a day. I'm 36, so wearing them across my forehead (sadly) isn't the right look for me. I'm 5 weeks out from having a baby and have been on the hunt for a great headband that will stay on during labor, as my hair is too short to pull back without one. Do you offer a money back guarantee? I would obviously try it out before delivery :) just to see if it stays on when I sleep. Thanks...these are SO cute! @Tim-Anne Hello, Congratulations on the new baby on the way! we are so glad you adore our headbands. The Grommet can process a return within 30 days if you finds it doesn't work. Welcome to the comment board, Tim-Anne, and congrats on the baby! You can find our complete return policy here. How do I order the star or moon hair clip? Hi L, just follow the link here. Your accessories are beautiful! I have waist-length, fine, straight hair. I have a really hard time finding things that stay in place without pulling or breaking my hair. How do your accessories do in fine hair? Thanks! @Bethany Hi Bethany, We have found that our headbands do great in all hair types. Our stretch ribbon does not pull or break your hair, it is very gentle on the hair! @Elizabeth Great! I'm a little more interested in the clips, though. How are they in fine hair? Are they heavy? That can make a big difference in whether or not they will stay put in my hair. Thanks again! @Bethany Hi Bethany! 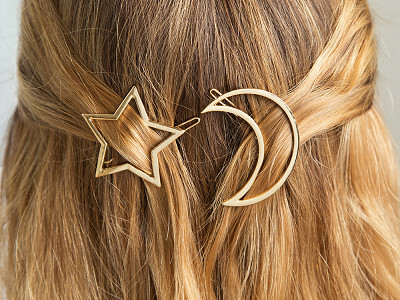 I would suggest the Moon and star clip they are very light weight and great for fine hair. I also have very fine hair and if your are interested in the Circle and V clip I would suggest putting more of your hair in these clips since they do have more weight to them. The never-ending hunt for comfortable headbands led Elizabeth Powell to take matters into her own hands—and hair. She created hair accessories for herself and her four daughters that wouldn’t hurt, with embellishments to add some pizzazz. 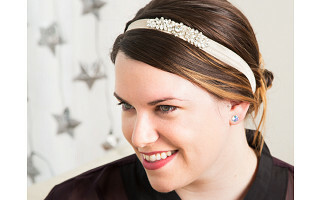 Five years later, her company Jolie is still making headbands and clips that feel good and give your everyday look a dose of sparkle. Their stretchy headbands are made out of soft, flexible hair-tie ribbon. Each can easily be dressed up or down, whether your hair is short or long. Or wear one over a hat, for one of Elizabeth’s favorite looks. Her eye for on-trend accessories extends to Jolie’s hair clips, too. The simple shapes give your ‘do a little bit of shine.